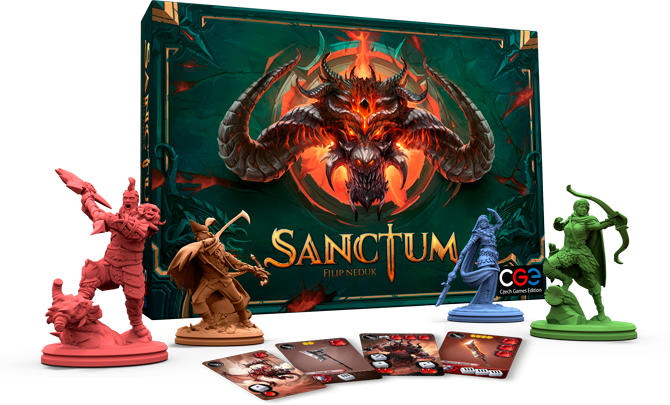 Prepare to explore Sanctum, a new game designed by Filip Neduk and going to be released in Fall 2019. 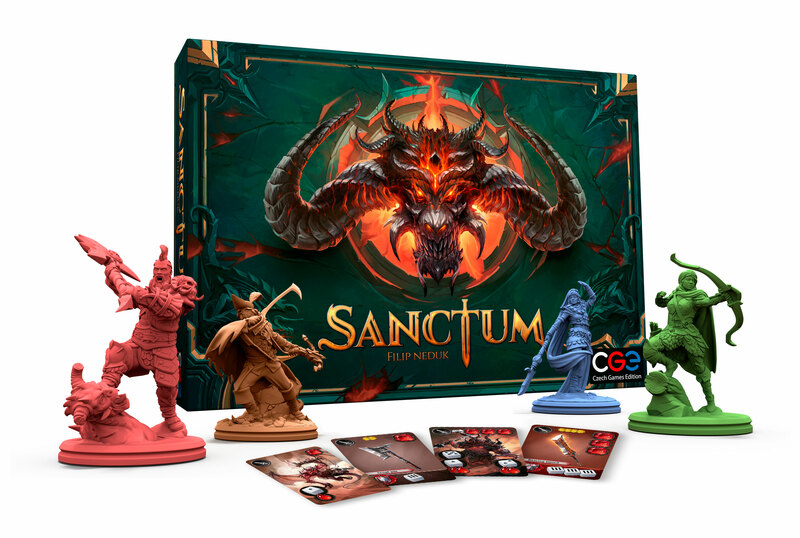 Sanctum is an epic adventure game for 2–4 players, inspired by a classic monster slashing and looting goodness, converted to a modern board game. As one of the heroes, you will embark upon a quest to rid the land of a demonic invasion, fighting your way through countless enemies and gearing up to face the Lord of Demons himself. In the process of venturing deeper into the land, ever so closer to the Demon Lord, the heroes will have to improve their equipment and adapt their combat tactics to face the increasing difficulty of combat. Each monster card hides a precious item on the other side. The seemingly simple dice throwing mechanic turns out to be a tactical delicacy once you realize that equipping the correct gear is a crucial part of surviving in these hostile lands. Stay tuned for more information regarding gameplay and final components coming in a few weeks.